A lot of people want to know the secret to making money online, and the truth is there really is no secret. There is only a bunch of advice and a lot of learning and patience. If you have no idea what you are doing online to make money then you will in fact do the opposite. You will lose a lot of money. Another thing people want to know is what is a marketing funnel or also know as a sales funnel/landing page. What a marketing funnel is would probably be the closest thing to a secret that you can get. 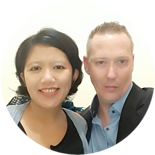 And it’s not a secret it is a marketing tool used by every affiliate marketer I know and rightfully so, because having your business on automation is wonderful. Lets take a look at what a sales funnel is, the purpose of one and how you can get one set up in a matter of minutes. Well, a funnel for marketing is basically just like it says. It is a way to guide and track the stages of consumers or purchasers who are seeing your ads into buyers. There are several ways to build a sales funnel as-well-as different approaches to converting the potential buyers. It also informs the marketer as to what needs to be done for the consumers based on the stages they stopped at. For example if a consumer stopped at the “thank you” page after putting in their email and did not follow through with a purchase. Well, now the marketer knows to follow up with them via email or even telephone, usually it’s always email, but it also depends on your business. Also the marketer would usually always follow up via email regardless if they made a purchase or not. Now that you know what a sales funnel is let’s look at how one works. What is the process of a funnel? First off the funnel works in a way to drive potential buyers to convert or to opt-in to an email list. There are a few different reasons you want to use a funnel, but let me explain how it works before I get into the “why” part. There are a few ways to drive traffic to your funnel, but you it all starts with the opt-in. After someone opts-in to an email list which is usually enticed by a “lead magnet” this is something you give away for free in return for the email. After they put in the email they will be taken to a page called the “thank you” page. This is where you thank them for opting-in and you let them know the email is confirmed. You will also at this time have them maybe watch a video while they wait for their email containing their “lead magnet” and then you can send them to the affiliate offer. This is a simple explanation on how a sales funnel works and again they can be built to lead the consumer in many directions. However, the final destination should always be to the sale. You can lead them to more information to build trust or validity with your company. Or you can direct them straight to the sale which I do not recommend, but you can especially if you do not have an auto-responder set up. Usually if you do the direct approach it is because you do not have a website and you’re doing direct affiliate marketing sales through FaceBook Ads. This leads me to why you should use a funnel. Why Should I Use A Sales Funnel? The main reason you should be using a sales funnel is because it is proven to work and convert prospects into buyers. There has been so much study on sales funnels and numbers don’t lie. Another reason you should use one is analytics, knowing what your prospects intentions are based off if they open an email or watch a video. You can evaluate the psychology of your prospect to guide them along in the purchase. Most people want to be sold, they just need someone to help them in the process. This is why we have reviews on everything, people want to be told what to buy and not buy. Third reason is because you want to build a customer base, this way you can resell them in the future with other products or services you have simply because they trust you and know what they are getting. Also, having a funnel will maximize your sales, this is proven. You can add or remove steps to your funnel to adapt to any sales pitch you have or product or service your selling and everything is automated. Which brings me to the fourth reason, Everything is automated. This way you have time to focus on more important issues in your business rather than worrying about every little detail of new potential customers. The automation takes care of that for you. This is one awesome option you can choose, Or you can try out Kartra which is the option I use. There is so much Kartra can do that it will make your head spin. You wanna talk about full automation? Kartra has got it. Checkout this post I wrote on what Kartra is about. Of course, we want to focus on funnels right? How to start Click Funnels: First things first you will want to go to the link I provided to you to take advantage of a 2-week free trial to try things out. Once you have your free trial you want to create your opt-in page and landing page. The opt-in forum is going on your landing page. This is so you can capture an email for future follow-ups. Next is you want to create a thank you page for your potential customers to receive a video or preview of the offer while they wait for the email you promised them (The Lead Magnet). Essentially this is as easy as it gets. This goes for all funnel systems. “Kartra is a little different” but in a good way, check out the video on creating a sales funnel. So what else can you do instead of creating a funnel? You can create a landing page to simply capture emails then direct them to a website with blog posts. This is a more passive approach to marketing. Another system you can try is social media marketing to promote your website, but to be completely honest it will take forever. You can also rely on organic traffic to generate sales by having an opt-in email subscriber list on your site then after capturing the email you solely use email marketing tactics to convert. Again this can and will take forever. The idea of a funnel is ment to divert consumers through a series of prompts and ultimately converting. I have another great alternative way to get things started without a funnel, of course you will eventually need or want to have a funnel and at the very least a landing page with an email opt-in. You can start with Wealthy Affiliate. This is a learning platform that will teach you all about Affiliate Marketing and get you started in the right direction. You definitely want to go this route if you’re new to Affiliate Marketing and want to learn as much as possible. The best part about this program is it is completely free to create a profile, plus you get a 2-week trial to try out some of the premium features. No credit card needed to join either. I highly recommend this program and it is the one I used to learn most of the things I know today.